When you’re finally ready to sign the lease on an apartment, chances are you’ve already gotten answers to most of your major rent-related questions. Cost per month, location, and included utilities are all things you’d want to know before you get down to the paperwork, but what about the less obvious questions? While renting an apartment isn’t quite as big a process as buying a home is, it is legally binding, and there are still some really important questions you’ll want to have answered before putting your name on the dotted line. Here are 15 questions to ask before signing a lease so you can make sure you’re prepared. Even if you and your prospective landlord have previously discussed that your lease will be a year long or month-to-month, make sure the lease term you’re expecting is the one that’s indicated on the lease itself. Whatever the terms are on the lease are the ones that you’re formally agreeing to, so you’re going to want more than just verbal confirmation. If the lease doesn’t start on the first of the month, is the rent pro-rated? Many lease terms dictate the first of the month as the day rent is due, but what if you’re moving in on another date? Most of the time, your rent will be pro-rated for that first month, meaning that you’ll only pay for the days you’re going to be there. The same goes for the end of the term if your lease ends on any day other than the first. It’s pretty standard to offer pro-rated rent for the first and last month in these circumstances, so make sure it’s spelled out on the lease. If it’s not, request that your rent is pro-rated for these periods. What are the policies around breaking the lease early? Obviously you’re not renting an apartment with the expectation that you’ll need to break your lease early, but life doesn’t always go exactly as planned and it’s possible that you will need to move out before the end of your lease term. Just in case, make sure you know what the policies around breaking a lease early are before you sign, particularly whether it is allowed and what the penalties are. While many landlords do allow early release of the lease if necessary, there may be a fine attached or you may be required to forfeit your security deposit. What are the rules for non-tenant access? Sometimes your landlord or a maintenance professional will need to access your unit, but that doesn’t mean they should be able to come and go as they please. Verify that your lease dictates that a certain amount of notice is required before they may access your apartment (for example, 24 hours). Most states have specific laws about how much notice is required, so check the laws in your state and make sure the lease has the correct terms. Are there any rules about guests? Speaking of non-tenants, check the lease to see if it has any specific rules around guests. Some leases don’t allow guests to stay overnight or for more than a set amount of time. Instead of risking possible penalties for breaking what may not be an obvious guest policy, read up on any guest rules in the lease before signing. Every landlord or management company has their own way of accepting rent payments. While in an ideal world you’d be able to just easily pay your rent online every month, it’s possible that you’ll need to drop off a check somewhere or mail it to a specific location. Most rents are due on the first of every month, but according to what it says in your lease, you may have some flexibility, especially if you have to mail a check somewhere. See if there’s a grace period on rent payments, such as three or five days from the first of the month. While chances are it will just be due on the first, it doesn’t hurt to find out if there’s a little wiggle room. Renters insurance is a good thing to have whether your landlord requires it or not, but check to see if the lease states that you absolutely must have it. If it does, you’ll usually have to show proof that you’ve acquired it prior to actually moving in. Fortunately, it’s usually pretty inexpensive. In addition to your first month’s rent, you may have other required fees due prior to move-in, including last month’s rent, a security deposit, administrative fees, elevator rental fees, or other specific move-in related costs. Check on what these are so that you can make sure you’re not hit with any surprises when moving day comes around. To what extent can the unit be personalized? One of the downfalls of apartment living is that you can’t always personalize the space as much as you’d like to. To cover your bases, check with both the lease and the landlord about the policies regarding tenant decorating and personalization to find out what you can and cannot do in regards to things like painting and hanging art or shelving. Some policies are stricter than others and there may be penalties for breaking them, so you’ll want to know this before hammering any nails into the walls. When in doubt, check with your landlord or management company before making any changes to the unit. Most of the time, security deposits are returned to tenants upon move out, provided there isn’t any major damage or mess left behind. See what the terms are so that you can be sure you maintain the apartment in such a way that you can get your security deposit back when the lease is over. To be safe, you may want to specifically ask about specific situations that would result in you not getting the deposit back. Read up on the general rules of security deposits so you know what you can expect regarding how the deposit will be used and how to make sure you get it back. Whether your building offers maintenance 24/7 or just upon request, find out what the policies are so that you know what to do if any maintenance issues arise. You don’t want to be scrambling to figure out next steps if your sink starts to leak or your central air stops working in the heat of summer. There may be different policies around general repairs and emergency repairs, and it’s important to know both. Does the unit currently have any damage? Don’t risk getting penalized for damage to the apartment that was there before you moved in. Make sure to ask the landlord about any existing damage such as worn floors or cracked windows before you move in and do a walk through before bringing in any of your belongings, taking pictures of any damage that you find. That way, if you get blamed for that damage later on you can show that it was there before you were. What is the pet policy (if applicable)? If you have a pet, you’ve obviously already made sure they’re allowed to live in the apartment with you. But what about other pet-specific policies, like added fees or rules around where your pet is and isn’t allowed on the general property? Pets can become a point of contention between tenants and landlords, so learn everything you might need to know about your building’s pet policy right from the beginning. Some landlords have rules regarding how much notice you’ll have to give if you want to renew the lease after your initial term. You can’t always count on them getting in touch and reminding you when it’s time to notify about a possible renewal, so ask about the process early on so you don’t miss out on leasing the unit again if it’s something you’re interested in doing. 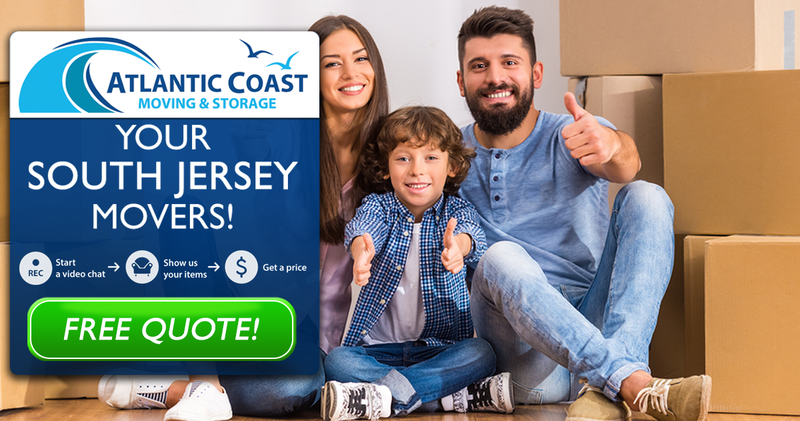 If you need any moving help or have questions about your upcoming move, contact Atlantic Coast Moving & Storage today!